The Tyndell Black Panel Mount is a great option if you're looking for an easel or mount to serve several purposes. The clean and simple look of the black mount with white border accents, make it the right mount to hold many different types of prints. 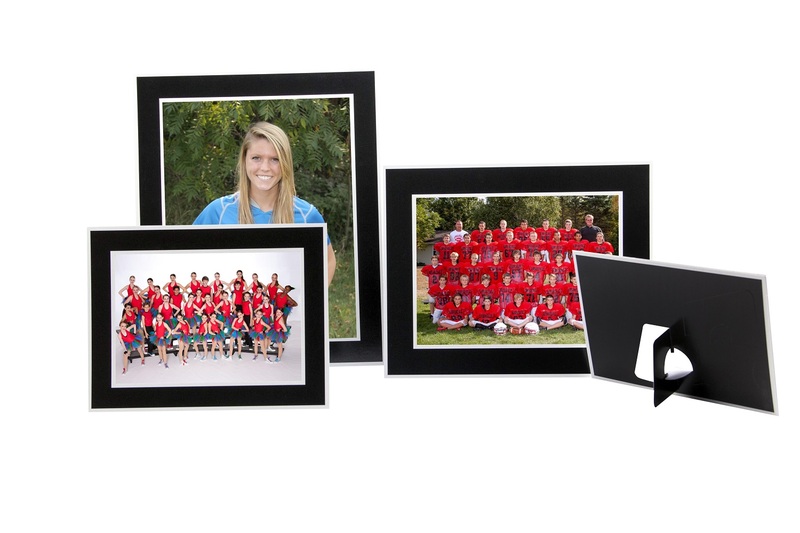 The Tyndell Black Panel Mount is perfect for Senior Portraits, Team Sports Photos, Digital Images, Family Portraits and more! Check out the Tyndell Black Folder for a complimentary piece to complete your photo packaging. Constructed with a high quality black printed, coated board. Bottom loading, 'quick load' design. Glossy black with white border detail. Customers who purchased a Tyndell Black Panel Mount also purchased these items.